The Golden Eagle Marching Band is comprised of wind instruments, battery, front ensemble, color guard, and drum majors who make up the 300+ student performers. All members of the Cypress Falls High School Band program are members of the Marching Band. Students earn PE credit, elective credit and fine arts credit for participation in the band program. Ryan George currently resides in Austin, TX where he is active as a composer and arranger. His work, ranging from music for the concert stage to music for marching ensembles is performed regularly throughout North America, Europe, and Asia. Ryan completed his first work for concert band in 2007 and since then his music has been performed at venues such as the American Bandmasters Association Convention, Carnegie Hall, PASIC, TMEA, The Midwest Band and Orchestra Clinic in Chicago, The Music For All Concert Festival, national and regional CBDNA Conferences, and The MidEurope Festival (Austria). Many of his works, which are aimed at developing performers, have frequented the repertoires of All-State, Region, Inter-Collegiate and Honor’s ensembles throughout the US and Canada. Recent notable performances of Ryan’s music have included The “President’s Own” United States Marine Band (national tour), the Texas Christian University Percussion Orchestra (PASIC national convention), The United States Air Force Band (ABA convention) and the Finnish Navy Band. He has received commissions for various ensembles including works for the T.C.U. Percussion Orchestra, The Consortium for the Advancement of Wind Band Literature, The Lone Star Wind Orchestra, and the Wan Quan School in Beijing China. As a specialist in music design for marching ensembles Ryan’s work has been performed by some the nation’s elite ensembles. His roster of clients hail from 15 states and include perennial Bands of America (Music for All) regional champions, regional finalist, state champions, and Grand National Finalist. Within the realm of drum corps Ryan is returning for his 6th season as the brass arranger/composer of the Boston Crusaders Drum & Bugle Corps from Boston MA. He has also arranged for the Academy Drum & Bugle Corps from Tempe AZ (2011-2013) and served on staff with the Phantom Regiment and Carolina Crown. Ryan graduated from the University of Kentucky with a degree in music education. He is an ASCAP artist, a member of TMEA, and the American Composer’s Forum. His wife Sarah is a producer and talent buyer for internationally recognized music festivals and they are the proud parents of Sophia, Nyla, and Teller. Colin joins the Cypress Falls High School Band as the battery percussion arranger. Mr. McNut currently works with Inspire Arts & Music, as the Director of Percussion, which will include the role of Music Program Coordinator, Music Design and Percussion Design while supervising the percussion caption of the Boston Crusaders. Colin served prior with The Cadets Percussion Staff since 2007. 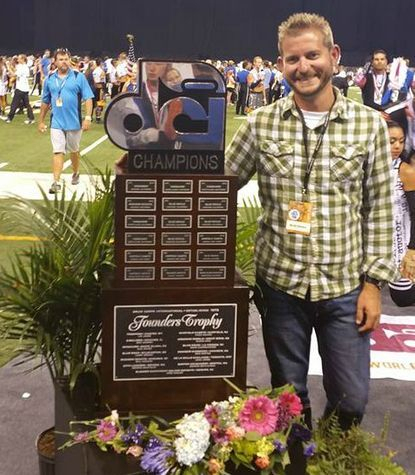 He served as The Cadets Percussion Caption Supervisor and Battery Arranger from 2008 through 2016, winning a DCI World Championship in 2011 and the Fred Sanford High Percussion Award in 2013. Colin was inducted into The Cadets Hall of Fame in 2016. Colin has also previously taught and arranged music for Star of Indiana, the Glassmen and the Crossmen. In addition, he was a part of the design and instruction team for the internationally acclaimed production, Blast! Colin began his marching career in 1988 during his junior year of high school when he joined the Boston Crusaders. He was an integral part of the Crusaders percussion section over a four year span. He aged out with Santa Clara Vanguard in 1992, where he was recognized at the 1992 Individual and Ensemble competition as the tenor drum solo champion. 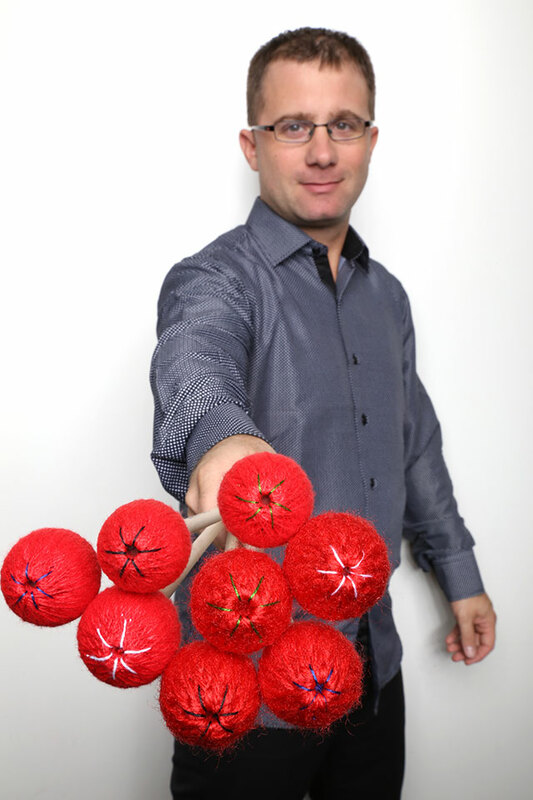 He has made a career out of his passion for music and percussion, while also completing a double major in music education and classics from the University of Massachusetts at Amherst in 1998. When not instructing drum corps, Colin conducts clinics for the percussion companies Avedis Zildjian Co., REMO, Inc., and Vic Firth. 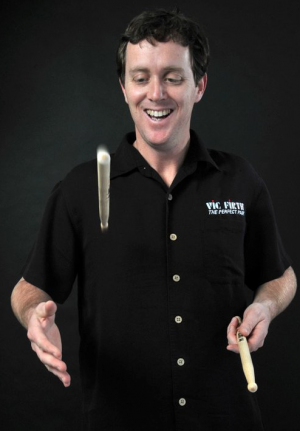 He has signature series “Colin McNutt” sticks designed and manufactured by Vic Firth. He also writes music for marching bands in the United States, Canada and Japan. Over the course of a continually blossoming career, Dr. Iain Moyer has amassed numerous accomplishments and made significant contributions to the world of marching percussion. He has composed, arranged and instructed at the highest levels of the Drum Corps activity – including ten years at The Cadets, contributing to a World Championship in 2011 and a Fred Sanford High Percussion Award in 2013. 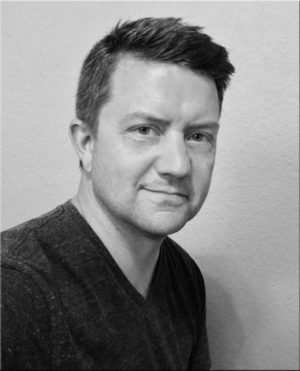 Iain has additionally worked with the Madison Scouts, Glassmen, Crossmen, and has held directorial positions at the University of North Alabama and Widener University. Multi-tonal in construction, the four marimba models respond to the player’s touch on the instrument. Increased velocity offers brighter articulation. Composers and arrangers will find that they can keep the same models in the players’ hands for longer passages – changing articulation through technique and touch, rather than mallet changes. Birch shafts in the vibraphone models offer increased rigidity – great for fast, two-mallet passages in the upper registers and for turn-on-a-dime dynamic changes from note to note. These birch shaft vibraphone mallets are also great on marimba, offering a unique cord-wrapped articulation. Michael B. Raiford is a freelance theater and pageantry designer based in Austin, Texas. 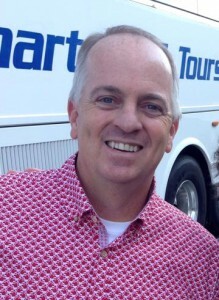 He has designed, staged and choreographed in DCI, BOA and WGI for more than 30 years. He is very fortunate to have had a project in either a national or regional finals for 29 years running, including more than 22 appearances in a national finals and eight national titles. BOA highlights include: The Woodlands, BOA 2013 National Champion, 2011 National Finalist and Multiple Regional Champions; Union High School, 2014 National finalist; Plymouth Canton Educational Park, 2012 National Finalist; James Bowie, 7-time regional finalist and national finalist; Ayala HS, 3-time Regional Champion; Central Cabarrus High School, 10-time regional finalist and 3-time national finalist. DCI: Michael’s early years were focused on 6-time DCI finalist Suncoast Sound. Contributions included choreographer and production designer. He began staging during his tenure, as well as turns as show and staff coordinator. He conceived the famed “Vietnam” show, pioneering theatrical elements in the drum corps world. His next major project in drum corps was Magic of Orlando. For six seasons Michael worked as part of the creative team and as production designer, making four finalist appearances. More recent drum corps associations include The Cavaliers, The Academy and The Glassmen. WGI: From 1998 to 2008, Michael worked on the creative team with Karl Lowe for 5-time world champion Fantasia. Michael worked as a creative collaborator and as the production designer and performance coach. Other favorite projects include Blessed Sacrament and San Jose Raiders. Michael currently works for WGI, teaching design and performance workshops for Spinfest, and Spinfest on the road. Michael’s work in band, winter guard and drum corps has led him to a career in scenic and costume design for theater, opera and dance. His work has been seen at Opera Boston; The New Victory Theatre in New York City; South Coast Repertory; GEVA Theatre; Playmakers Repertory; Actor’s Theatre of Louisvile; Ford’s Theatre in Washington, D.C.; Cleveland Playhouse; Kansas City Repertory; The Maltz Jupiter Theatre, Florida; Ballet Austin; Central City Opera; and Austin Lyric Opera. Rob Jett joins Cypress Falls High School for the 2018 season. Rob grew up outside Nashville, TN, where he went to Western Kentucky University majored in Advertising. He currently resides in San Diego, California with husband, Carlos. Rob’s marching career began with Suncoast Sound Drum & Bugle Corps (1987-1989) and Magic of Orlando Drum & Bugle Corps (1990), as well as Alliance of Miami Winterguard (1988-1990), and San Jose Raiders (1991). Tim Darbonne began his performing career as a baritone player in the Erath High School Band from Erath, Louisiana. After graduating he went on to march Lead Euphonium with the 18 time World Champion The Blue Devils Drum and Bugle Corps and aged out in 2007 as a part of the corps’ 12th DCI Championship. In 2011 Tim returned to Concord to join “BD” as a member of the visual staff, a position he holds to this day. During his seven years on staff the corps has won four DCI World Championships, four Best Visual Performance Awards, and has placed no lower than second overall. Tim has designed for ensembles in 18 different states and 3 different countries. The ensembles he has designed for have earned numerous “Superior” ratings, “Best in Class” awards, State Champion awards, and BOA Regional Finalist awards. Tim made his drum corps design debut in 2011 with The Music City Drum and Bugle Corps from Nashville, Tennessee. He then went on to be the drill designer for Pacific Crest Drum and Bugle Corps from Diamond Bar, California in 2013 and 2014. Under Tim’s tenure, Pacific Crest received it’s highest placement and composite score in the corps’ history. Tim was a co-founder of the Louisiana Stars Drum and Bugle Corps where he was also the Visual Designer/Supervisor in 2014 – 2015. In 2017, he will design the drill for the Long Island Sunrisers, a storied drum corps within the DCA Circuit. Jonathan Morales is currently pursuing a bachelor’s of arts from the Moore’s School of Music at the University of Houston. Jonathan currently studies trumpet with affiliate artist Mr. James Austin. In 2016 he received a bachelor’s of Science in Kinesiology and Exercise Science with a specialization in Health Science. He has performed with the Crossmen and Cavalier Drum and Bugle Corps, as well as the UH Symphonic Winds Ensemble. Jonathan is a brother of the Omicron Upsilon chapter of Phi Mu Alpha. After completing his degree, Jonathan plans on pursuing a career as a music educator. His hobbies include bicycling and playing with his puppy, Spaghetti. Makaela Pierce is currently pursuing a Bachelor’s Degree in Music Education from the Moores School of Music at the University of Houston. 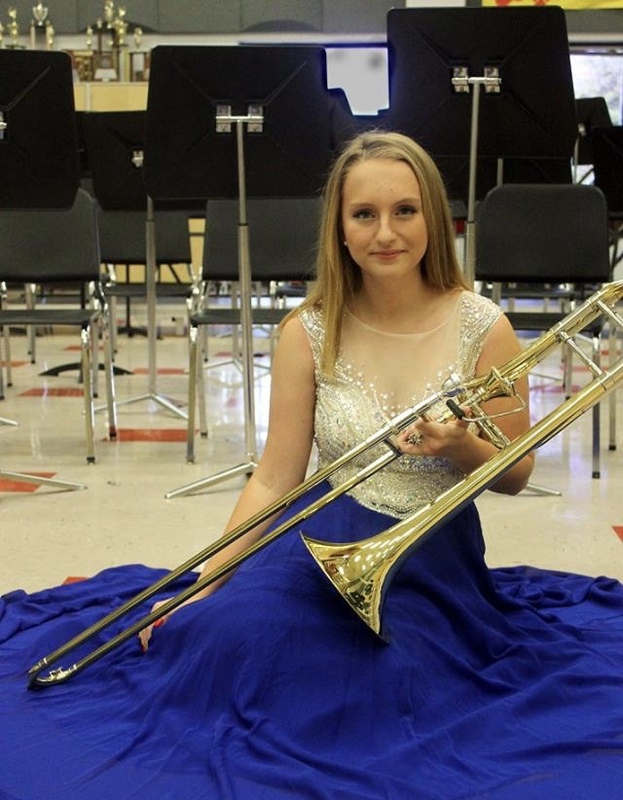 Makaela studies trombone under affiliate artist Brian Kauk. While at the Moores School of Music, Makaela has performed with the Symphonic Winds, Cougar Brass and the Spirit of Houston marching band. Additionally, Makaela serves as a marching technician with the Cypress Falls High School marching band and also teaches trombone privately at Atascocita High School. Makaela is also a brother of the Beta Sigma chapter of Kappa Kappa Psi. After completing her degree, Makaela plans on pursuing a career as a high school band director. Kelvin Guevara, originally from Cypress, Texas, is currently attending Sam Houston State University where he’s pursuing a Bachelor’s Degree in Music Education. He studies trumpet under professor Randal Adams, Stephen Warkentin, and Amanda Pepping. While trumpet performance isn’t his major, Kelvin has been part of many scholastic and professional performing organizations. He has performed as a lead trumpet for the SHSU BMB(Bearkat Marching Band), SHSU AOBB (Angry Orange Basketball Band), SHSU Latin Band, and the SHSU Brass Choir. Mr. Guevara has experience as a performer in Drum Corps International with the Crossmen Drum & Bugle Corps in 2017 and The Cadets in 2018. 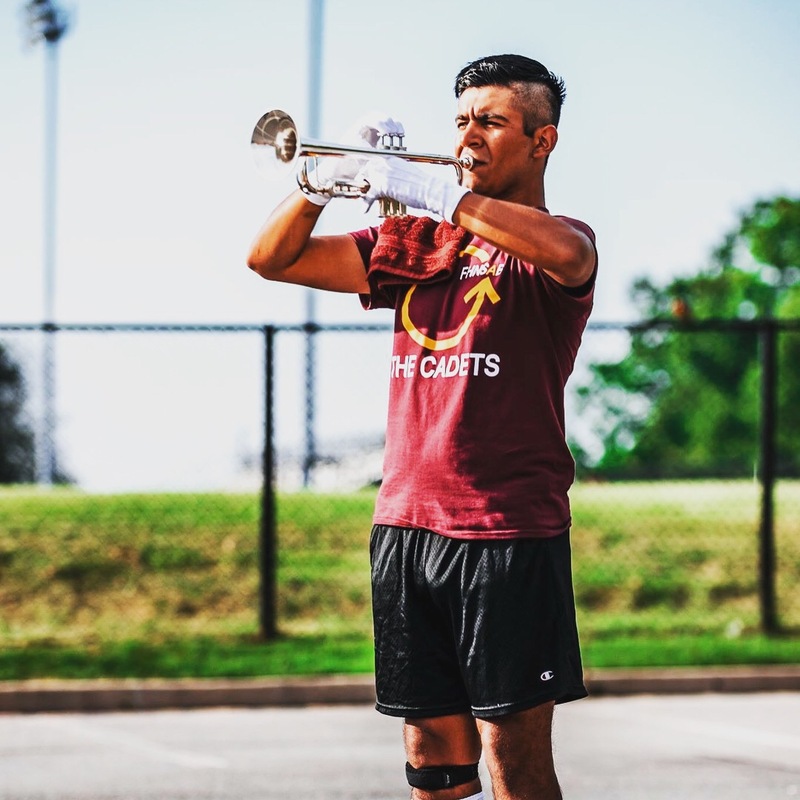 Kelvin Guevara has been a private trumpet instructor for students of the Cypress and Huntsville areas where he oversaw individual instruction on tone quality, technical studies, and musicianship. He has also worked with the Willis High School Marching Band where he assisted the program in qualifying for the UIL State Marching Contest for the first time in school history. Kelvin aspires to educate current and future students to achieve incredible and amazing goals in life, whether it is through the marching arts or music. He is very honored and super exited to be on staff with the Cypress Falls Golden Eagle Marching Band for this upcoming season and is looking forward to achieving greatness. Kelvin is 2015 alumni of Cypress Falls and an active brother of Phi Mu Alpha Sinfonia Fraternity of America.